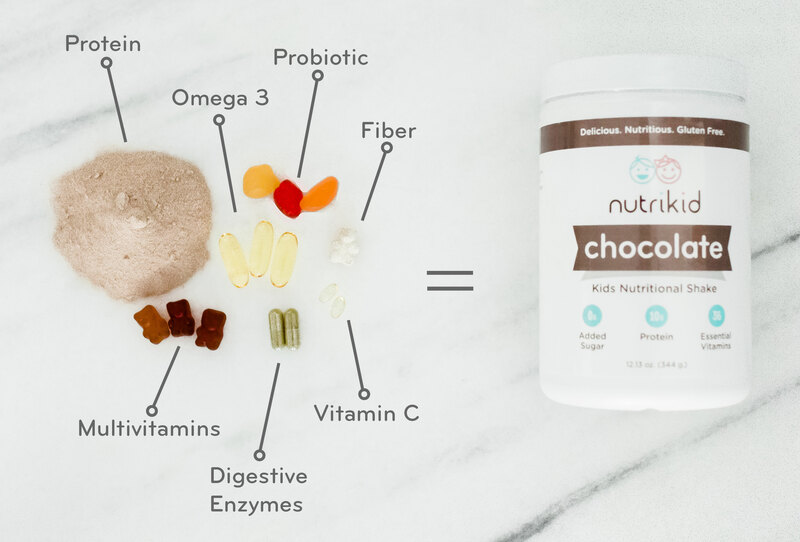 All The nutrients Kids need in one bottle! My Kids love these. Instead of handing out a multivitamin, a probiotic, digestive enzymes, and omega 3 supplements I can make them each a shake and it’s all covered. It’s just a bonus that it also has fiber and protein. It’s a perfect addition to breakfast or sometimes as a stand alone in a pinch. When you think of how much you would spend on each of those supplements alone, the price of the shake looks pretty dang good. My kids LOVE this. They get so excited when they see me making a "chocolate shake". They're 3 and 2 and the 2 year old is super picky so it's so nice to see her get some nutrition other than chicken nuggets, goldfish, and blue berries. I am thrilled with the quality of this product. The flavor is amazing and there's no added sugar for once!!!! Kids and mom approved. My 2 year old requests the chocolate shake daily and on top of it tasting good, I love to know she’s getting nutrients she needs. It’s great that it has probiotics and digestive enzymes on top of all the essential vitamins. 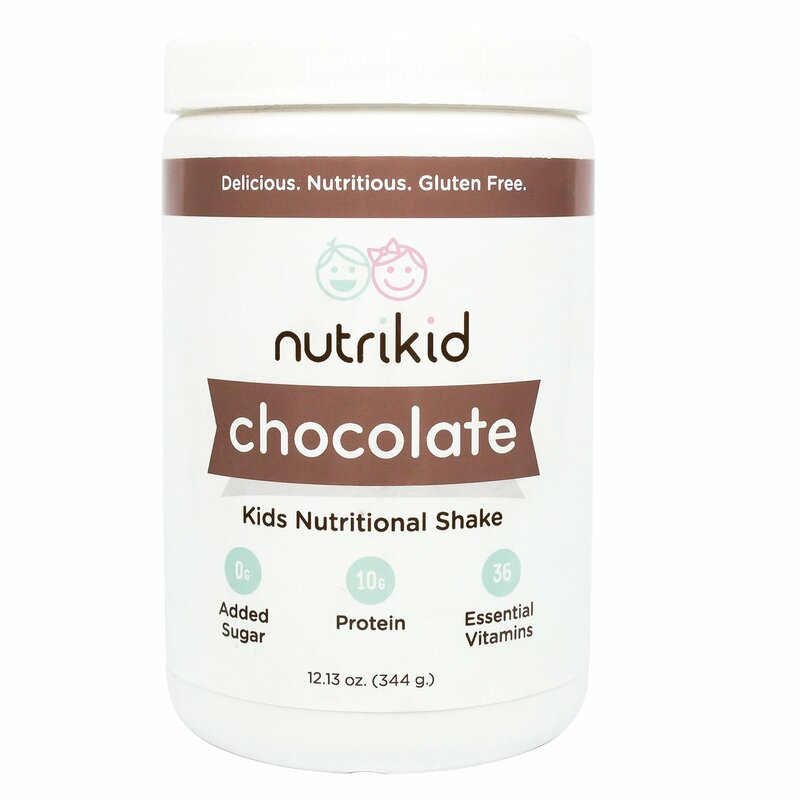 When searching for a kids protein shake, I couldn’t find another out there that is so low in sugar as well as a great source of protein. We will continue to purchase this. Ohhhh my gosh. I originally ordered this as a low carb option for my Type 1 Diabetic kiddo. We love shakes & smoothies but I refuse to buy things with fake sugars & fake coloring. I was intrigued by the good ingredients list in these shakes; probiotics, omegas, lack of added sugars. We tried it as soon as it arrived and we all loved the taste!!!! We have now tried all the flavors. We love them so much and know that they will continue to be a staple in our home!!!!!! Thank you Nutrikid for caring about your product and your customers, it shows!!!! Finally got a chance to have my kids try this over the weekend!!! They loved it. My husband and I drink protein shakes all the time and our kids always want them, but I didn’t want them drinking some of the ingredients in ours. I have been looking for one with healthy ingredients that actually tastes good. I was pleasantly surprised at how good this one was. We will be ordering more flavors! We love this stuff. We had a picky eater and this was the perfect solution. We wanted something that was healthy and not packed full of sugar like most breakfast things and kid protein drinks. I couldn't believe all the the nutritious things in it and it tastes good too, my toddler can't get enough of it. Not that sawdust texture that a lot of protein powder drinks have. You do have to stir zealously or blend it, like with a Magic bullet, to mix it in real smooth. It's especially great for busy mornings when I don't have time to negotiate with a 3-year-old master diplomat. And another bonus is that a little bit goes a long way, so it's lasted us quite a while. So if you're looking for something that is easy, delicious and packed full of really good stuff, look no further. We believe so strongly in our product that we are willing to give a complete 100% money back guarantee if you are not satisfied with the product!